Allergic to Vanilla: #ShopStyleholiday + giveaway!! 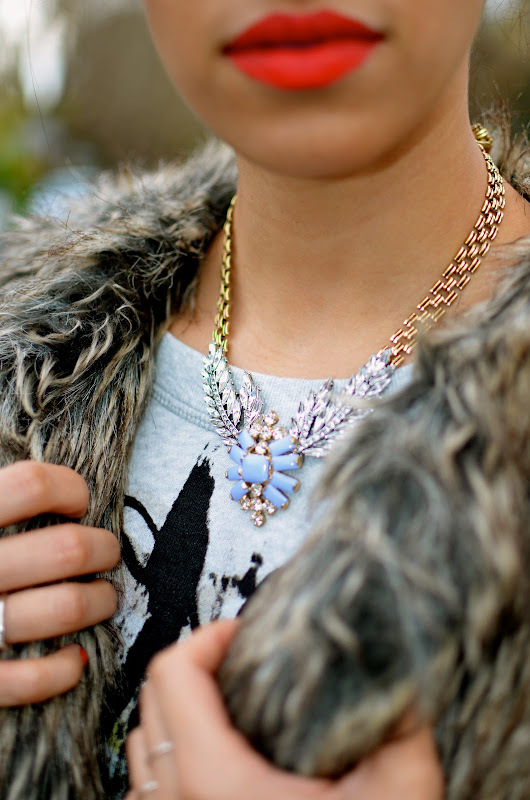 I LOVE this necklace and can totally seeing it work with so many different looks! I can't wait to see you style it up each day! :-) LOVE the red hot lips too- meow! Looking forward to the series! I will have to dream up something cool to pair it with! Love the necklace! I also love the fur! o i love shopstyle and that necklace! great giveaway/partnership. p.s. so excited about the aveeno giveaway :):):) that was a great way to start my morning.